Pioneers in the industry, we offer fire retardant fabric, silica fabric, high temperature textiles, flame resistant fabric, heat resistant fabrics and high temperature fabric from India. Our company specializes in offering qualitative range of Fire Retardant Fabric. 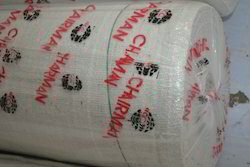 We are the leading manufacturer, supplier and importer of Fire Retardant Fabric. 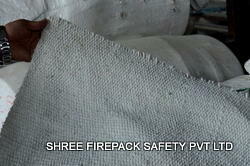 Shree firepack safety pvt ltd specializes in offering qualitative range of Fire Retardant Fabric.Also our range of product include like yarn, ropes,cloth,webbing tapes,fire blanket,aprons,suits,welding blanket,coated & uncoated fabrics made of asbestos,non asbestos material like glass fiber,cermaic fiber & silica. Our company is providing a vast range of Silica Fabric to our valuable clients that is precise designed by our experts. Vermiculite coating adds abrasion resistance and adds significantly to the fabric’s durability. We are a prominent High Temperature Textiles manufacturer and supplier based in India. 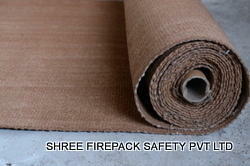 Shree firepack safety pvt ltdspecializes in offering qualitative range of High Temperature Textiles.Also our range of product include like yarn, ropes, cloth, webbing tapes, fire blanket, aprons, suits, welding blanket, coated & uncoated fabrics made of asbestos,non asbestos material like glass fiber,cermaic fiber & silica. 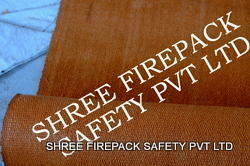 We are a prominent Flame Resistant Fabric manufacturer and supplier based in India. 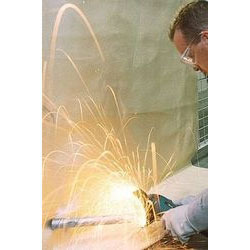 Shree firepack safety pvt ltdspecializes in offering qualitative range of Flame Resistant Fabric. Also our range of product include like yarn, ropes, cloth, webbing tapes, fire blanket,aprons,suits,welding blanket,coated & uncoated fabrics made of asbestos,non asbestos material like glass fiber,cermaic fiber & silica. Our company specializes in offering qualitative range of Heat Resistant Fabrics . We are a prominent Heat Resistant Fabrics manufacturer and supplier based in India. 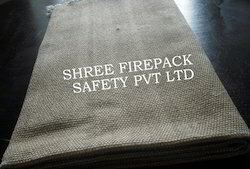 Shree firepack safety pvt ltd specializes in offering qualitative range of Heat Resistant Fabrics.Also our range of product include like yarn, ropes,cloth, webbing tapes, fire blanket, aprons, suits, welding blanket, coated & uncoated fabrics made of asbestos, non asbestos material like glass fiber, cermaic fiber & silica. We bring in for our clients wide range of Fire Retardant Fabric, that is made from either Asbestos, ceramic fiber or fiberglass for high temperature application. Moreover, our range of cloth are widely appreciated for quality fabrics and tensile strength and are widely used in various industries for varied purposes. Further, we offer them at industries leading prices. Our company specializes in offering qualitative range of High Temperature Fabric. Our company specializes in offering qualitative range of Silica Fabrics.